From the Dominion Theatre in London, Procol Harum in a symphonic spectacular for orchestra and chorus conducted by David Firman. 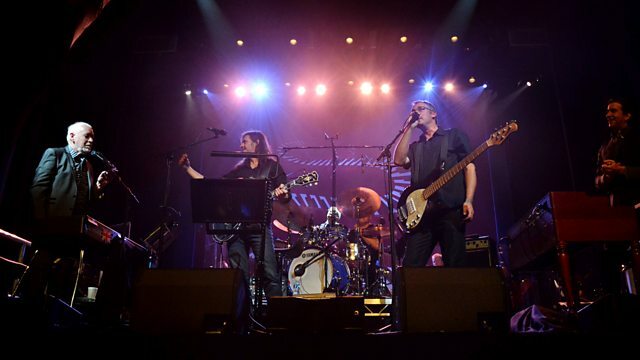 For one night only, 'Friday Night Is Music Night' presents Procol Harum in a symphonic spectacular for BBC Radio 2. This special event takes place at the Dominion Theatre in London, with the sixty piece BBC Concert Orchestra conducted by David Firman and the forty voice CEF Chorus. The band who created the iconic track that is still voted the best pop record of all time, 'Whiter Shade of Pale', is led by the founder member of the band, singer/pianist and composer Gary Brooker. Geoff Whitehorn who among his credits, has played for Roger Chapman, Elkie Brooks, Paul Rodgers and Roger Daltrey, plays lead guitar. Geoff Dunn, on drums, joined in 2006, having played for such luminaries as Jimmy Page, Dave Stewart, Van Morrison and Manfred Mann. Matt Pegg, on bass joined in 1993 having played with Jethro Tull, folk-rock supergroup The Gathering, Francis Dunnery, Chris Difford of Squeeze, The Drifters, and The Stone Roses' Ian Brown. Josh Phillips plays keyboards and Hammond. A renowned composer in his own right, his career with the band began in 1979, after a long and fruitful association with Pete Townsend. Having played their symphonic set to thousands overseas, Procol Harum are at last bringing the show to the UK's shores. Their reputation and illustrious pedigree promises that this special 'Friday Night Is Music Night' will be a unique and unforgettable concert experience. First broadcast in November 2014. Performer: Procol Harum. Performer: BBC Concert Orchestra. Lyricist: Keith Reid.